Whether you are new to our church, looking to join, or have been with us for years, you’re sure to have questions. We’ve addressed some of those here, but we know sometimes you need a real person on the other end. Give us a call at (352) 307.4500; we’re always happy to help. How do I get a password to access the Member Portal? How do I submit Praise and Thanksgiving? How do I transfer from another LCMS church? How can I get to know people in such a large membership? How can I donate funds to Trinity? We hold services and celebrate communion at 8:00 and 10:30 a.m. every Sunday. Simply give us a call at (352) 307.4500, and we’ll get you set up. We respect our members’ right to privacy and have placed passwords on our Member Portal and Praise and Thanksgiving pages to protect sensitive information. We thank you for using these pages for personal use and not for solicitation or business purposes. The power of words of praise, thanksgiving, and kindness can never be underestimated, and we thank you for loving and caring for others within our midst. To submit Praise & Thanksgiving, simply complete our online form. Sunday School begins the Sunday following Labor Day and continues through Memorial day. We are on break June through August. We meet at 9:15 a.m. in the Fellowship Hall; children meet in classroom 1. 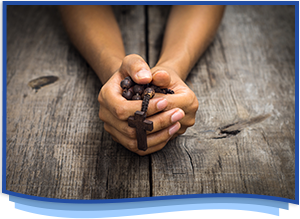 Becoming a Christian Lutheran is a decision of faith made with study and prayer. Learn more about the first steps to becoming a member or contact our office at (352) 307.4500. We welcome you! Simply call your previous church and request a transfer, or call our office at (352) 307.4500, and we’ll take care of it for you.